"We used pencils when we were small. But now we use pens ... Do you know why? Because mistakes in childhood can be erased, but not now." - Warren Buffett. A FOUNTAIN PEN is a nib pen that, unlike its predecessor the dip pen, contains an internal reservoir of water-based liquid ink. From the reservoir, the ink is drawn through a feed to the nib and then to the paper via a combination of gravity and capillary action. 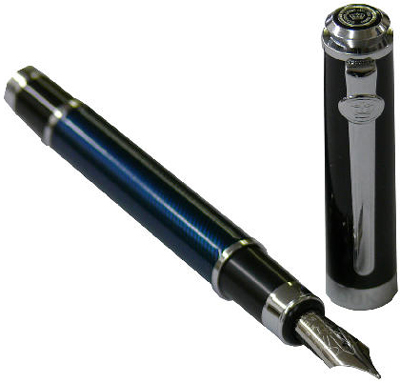 As a result, the typical fountain pen requires little or no pressure to write. The earliest historical record of a reservoir pen dates back to the 10th century. In 953, Ma'a-d al-Mu'izz, the caliph of Egypt, demanded a pen which would not stain his hands or clothes, and was provided with a pen which held ink in a reservoir and delivered it to the nib, and could be held upside-down without leaking. 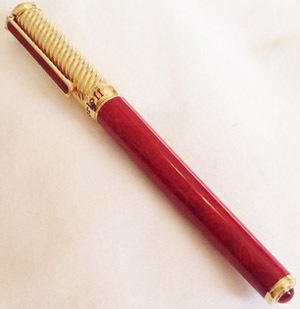 Progress in developing a reliable pen was slow, however, until the mid-19th century. That slow pace of progress was due to a very imperfect understanding of the role that air pressure played in the operation of the pens and because most inks were highly corrosive and full of sedimentary inclusions. The Romanian inventor Petrache Poenaru received a French patent for the invention of the first fountain pen with a replaceable ink cartridge on May 25, 1827. Starting in the 1850s there was a steadily accelerating stream of fountain pen patents and pens in production. It was only after three key inventions were in place, however, that the fountain pen became a widely popular writing instrument. 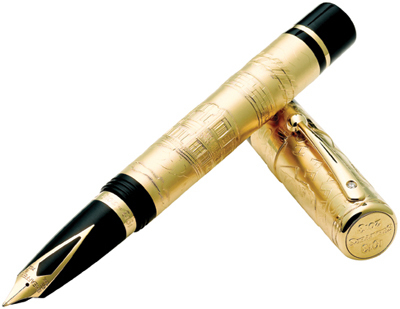 Those inventions were the iridium-tipped gold nib, hard rubber, and free-flowing ink. The first fountain pens making use of all these key ingredients appeared in the 1850s. It was in the 1880s that the era of the mass-produced fountain pen finally began. At this time fountain pens were almost all filled by unscrewing a portion of the hollow barrel or holder and inserting the ink by means of an eyedropper. This was a slow and messy procedure. Additionally, fountain pens tended to leak inside their caps and at the joint where the barrel opened for filling. Now that the materials problems had been overcome and the flow of ink while writing had been regulated, the next problems to be solved were the creation of a simple, convenient self-filler and the problem of leakage. Self-fillers began to come into their own around the turn of the century; the most successful of these was probably the Conklin crescent-filler, followed by A. A. Waterman's twist-filler. 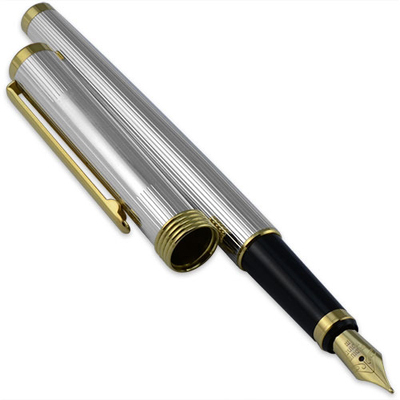 The tipping point, however, was the runaway success of Walter A. Sheaffer's lever-filler, introduced in 1912, paralleled by Parker's roughly contemporary button-filler. During the 1940s and 1950s, fountain pens retained their dominance: early ballpoint pens were expensive, prone to leaks and had irregular inkflow, while the fountain pen continued to benefit from the combination of mass production and craftsmanship. By the 1960s, refinements in ballpoint pen production gradually ensured its dominance over the fountain pen for casual use. A BALLPOINT PEN is a writing instrument with an internal ink reservoir and a sphere for a point. The internal chamber is filled with a viscous ink that is dispensed at its tip during use by the rolling action of a small sphere. The sphere, usually 0.7 mm to 1.2 mm in diameter, may be made of brass, steel, tungsten carbide, or any durable, hard (nondeformable) material. The manufacture of economical, reliable ballpoint pens arose from experimentation, modern chemistry, and the precision manufacturing capabilities of 20th century technology. 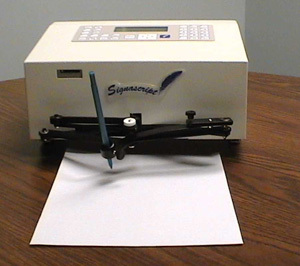 Many patents worldwide are testaments to failed attempts at making these pens commercially viable and widely available. The ballpoint pen went through several failures in design throughout its early stages. It has even been argued that a design by Galileo Galilei (during the 17th century), was that of a ballpoint pen. The first patent on a ballpoint pen was issued on 30 October 1888, to John Loud. ROLLERBALL PENS are pens which use ball point writing mechanisms with water-based liquid or gelled ink, as opposed to the oil-based viscous inks found in ballpoint pens. These less viscous inks, which tend to saturate more deeply and more widely into paper than other types of ink, give roller ball pens their distinctive writing qualities. The writing point is a tiny ball, usually 0.5 or 0.7 mm in diameter, that transfers the ink from the reservoir onto the paper as the pen moves. 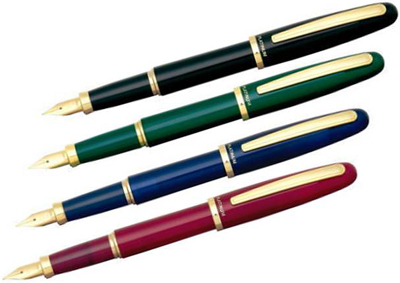 7 Sensibly Priced Fountain Pens - Wired. BALLPOINT VS ROLLERBALL - "What is the difference between ballpoint and rollerball pens?" 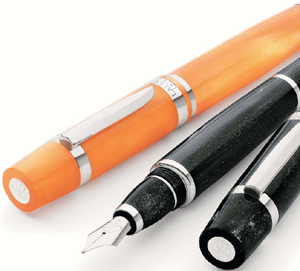 best pens for festive gifting - The Telegraph. Cabinet d’Ecriture - Louis Vuitton Saint-Germain des Près, 6, place Saint-Germain des Près, 75006 Paris, France. Caran d'Ache Matterhorn Brut RosÉ collector’s edition - Limited Matterhorn Edition (4478 copies). CONWAY STEWART - luxurious leather pen cases. FOUNTAIN PEN DAY - Taking place on the first Friday in November each year, Fountain Pen Day is celebrated by enthusiasts worldwide as a time to embrace, promote, and share the use of fountain pens. Guide to Choosing a Felt Tip Marker Pen - JetPens.com. Hand you write with can determine how you vote, scientists find - The Telegraph. HOW TO USE A TACTICAL PEN: DEFINITION, TECHNIQUES AND FACTS - Survival Mastery. List of pen types, brands and companies - Wikipedia. 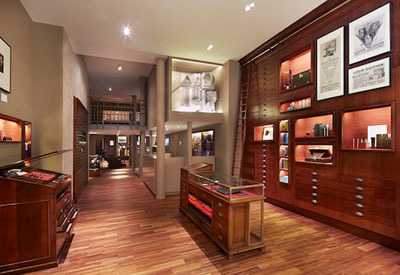 Louis Vuitton’s Cabinet d’Ecriture (Writing Cabinet) pop up store in Paris - LuxuryLaunches. Maki-e - Japanese lacquer sprinkled with gold or silver powder as a decoration using a makizutsu or a kebo brush. Moleskine’s latest smart pen saves your writing to download later - engadget. 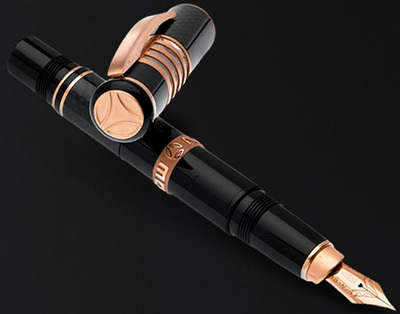 Montblanc celebrates its 110-year anniversary with a snake-charming new range - The Telegraph. 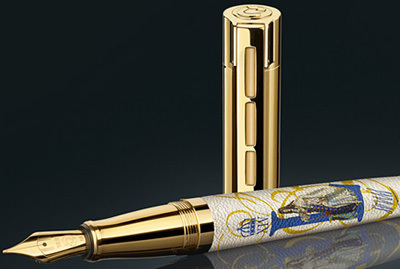 Montblanc celebrates The Bard's birthday with a striking new pen - The Telegraph. 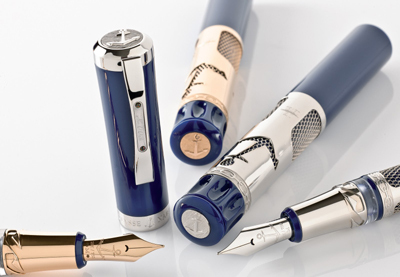 Montblanc: Selection of the Perfect Nib - "To offer the perfect nib for each individual handwriting, Montblanc offers an exclusive selection of eight different nib widths. Choosing the right nib to match your personal writing style will allow you to write effortlessly." Montblanc WRITING INSTRUMENT REFILLS - 121 products. 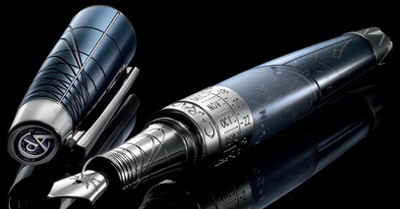 Richard Mille Made a $105,000 Mechanical Fountain Pen - Bloomberg. Rollerball vs. Ballpoint Pens - Pen Haven. THE BEST PEN - Reviews by Wirecutter. THE FOUNTAIN PEN NETWORK Forums - since 2008. This Pen Is Totally Over-Engineered. We Dig It Anyway - Wired. Uni-ball Jetstream is the best pen for everyday writing - The Wirecutter. VENLO COMPANY - luxury pen cases. What’s The Best Tactical Pen For 2016? - The Tactical Guru. Cross Classic Century Collection - Double Desk Set Walnut Finish With 10K Gold Plated appointments. HOWARD MILLER - rosewood desk set with round clock. JAC ZAGOORY DESIGN - pen holders. 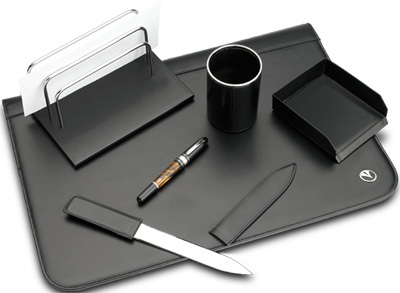 MARLEN - leather deskset with: Class pen (black), knife for paper, desk-folio, paper pouche, envelopes-pouche, pens pouches. 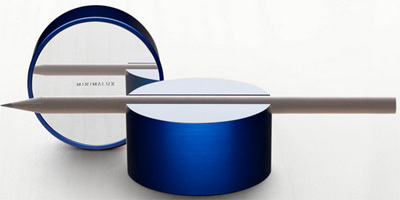 PIANKI - luxury executive desk pen sets. pierluigi ghianda - pencil holder. S.T. 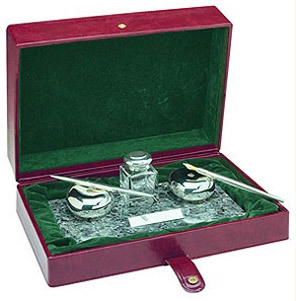 DUPONT - pen desk set. The Bridge - "Firenze 1969." Pen holder. ACME STUDIO - all models. ALFRED DUNHILL - all models. Allen Edmunds - all models. ALVIERI MARTINI - 1st Classe collection. ANCORA - since 1919. "Perfection that Defies Time." All collections. 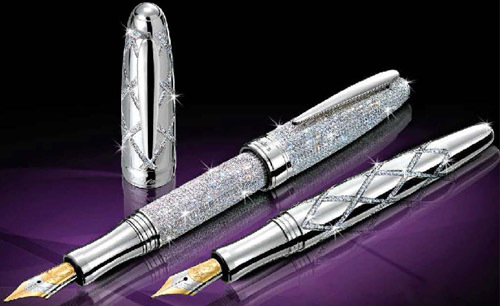 AP LIMITED EDITIONS - "Our limited edition pens will honor your family of heirlooms for years to come." 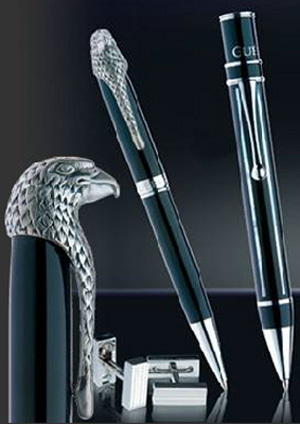 ASPINAL OF LONDON - men's silver pens. ASPREY - "British Luxury Goods Since 1781." Silver pen. AURORA - since 1919. All collections. BENTLEY - "Tibaldi for Bentley Limited Edition." BIC PENS - all models. Bruynzeel - "A range of high-quality pencils for artists, designers, illustrators and hobbyists with which to draw, sketch & colour." BUGATTI LIMITED EDITION - by Ferrari da Varese. 499 pieces. CALLIGRAPHY PENS - dip pens & nibs. CARAN D'ACHE - Founded in 1915 in Geneva, Switzerland. "For the pleasure of writing and drawing." All collections. Cartier Collection - "Historic and Exceptional Pieces from the Maison Cartier." All collections. 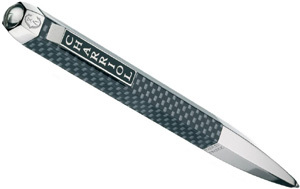 CHARRIOL - since 1983. All models. CHOPARD - since 1860. All collections. 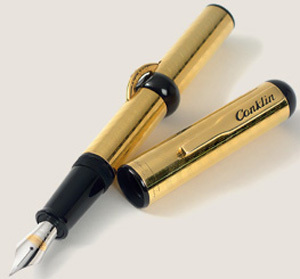 CONKLIN PEN CO. - since 1898. "The legendary name for writing instruments." CONWAY STEWART - "Bespoke British Luxury Pens Since 1905." CONWAY STEWART Churchill fountain pens - all models. CROSS - founded in 1846. All models. DANITRIO - "Original Works for Original People." DAVID OSCARSON - "From Generation to Generation..."
DELTA - "Made in Italy 1982." Diplomat - since 1922. "Points of Distinction." DISNEY - pens. All models. DOUGLAS PELL - since 1972. "Quality Silver Products or Handmade Silver Products." 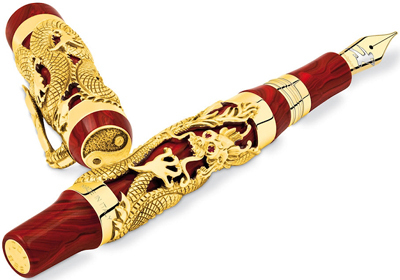 DRAGON PEN - Bruce Lee Dragon gold fountain pen by Montegrappa. Limited edition: 88 pieces. DUKE - "The Duke Way, The Write Way." ELIE BLEU Paris - since 1976. Fountain pens & roller balls. FABER-CASTELL - since 1761. All models. FARBOD BARSUM - executive pen. FEDERICO BUCCELLATI - since 1919. FERRARI DA VARESE - Italian Fine Writing Intruments. All models. FILOFAX - since 1921. Ballpens & pencils. 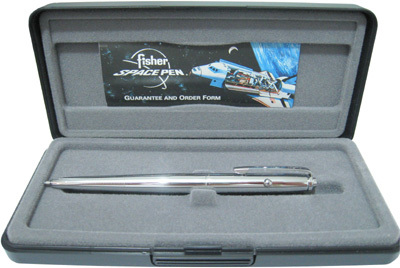 Fisher space pens - since 1953. 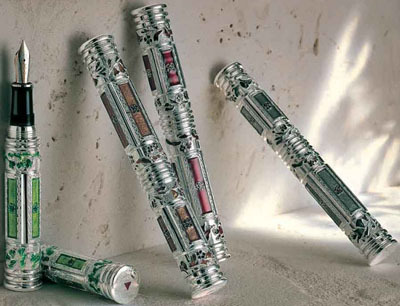 "Makers of the Original Astronaut Pen, among many other high quality writing instruments." 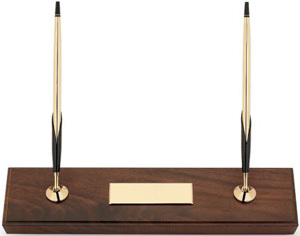 FJÄDER PENS OF SWEDEN - "These are a stylish desk pen that would grace any desk and would make the perfect present for someone looking for an unusual gift that cannot be found on the high street." FOLLI FOLLIE - all models. FORZIERI - since 1999. All models. FRANKLIN-CHRISTOPH - since 1901. All models. FREYWILLE - since 1951. "Pure Art." All models. Georg Jensen - "Elegant Scandinavian simplicity with a nod to traditional craftsmanship." Ballpoint, fountain & roller pens. GIORGIO ARMANI PENS - Regal Collection. 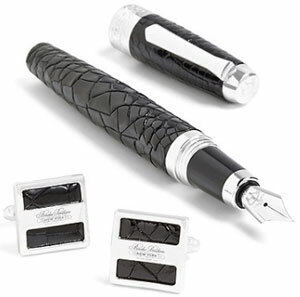 GRAF VON FABER-CASTELL - since 1761. "Passion and Precision." All models. 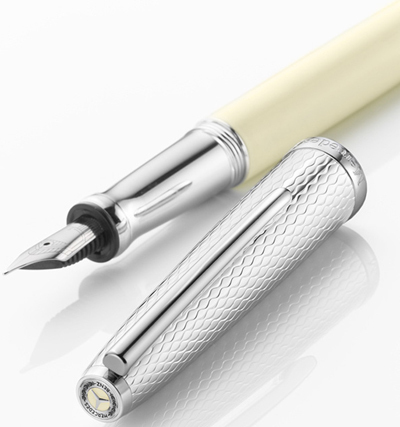 GRAF VON FABER-CASTELL - PEN OF THE YEAR 2018 - "Imperium Romanum - Beauty in White." GRAYSON TIGHE - "Distinctive Writing Instruments." Specializing in limited edition & one-of-a-kind collector and investment grade writing instruments. GUÉPARD Geneve - since 1979. All models. HARLEY-DAVIDSON - since 1951. All ballpoint models. HermÈs - Pencil in bougainvillea Madras goatskin. 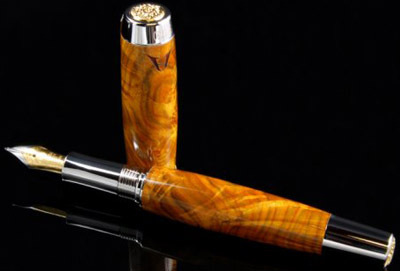 HIGDON WRTING INSTRUMENTS - "Specializing in custom handmade pens made from fine and rare woods." HYSEK - since 1997. All models. IXC:Pens by INOXCROM - since 1942. "The Writing Obsession." High-quality, aesthetically pleasing promotional items for companies. All collections. 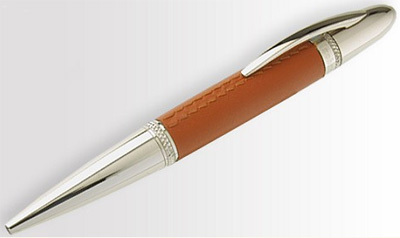 JAGUAR PEN - "Jaguar wordmark branded Ballpoint Pen. Choose from Black, Red or White." JAC ZAGOORY - all models. JEAN PIERRE LÉPINE - ballpoints, fountain pens & rollerballs. Jorg Gray - since 1998. "Our writing instruments incorporate hand painted black lacquer finish over a brass case, high polished chrome accoutrements, and hand placed Swarovski elements." Jot Script 2 EVERNOTE EDITION STYLUS - by Adonit. "The first true fine point stylus that allows your handwriting to flow as freely as your thoughts." Kaweco - "License to write since 1883." Ballpens, fountain pens, rollerballs, pencils, multifunction & calligraphy. KRONE - historical limited collections. LABAN - since 1981. "Refill your Soul by Writing." All models. LALEX 1938 - all models. LAMY - "Design. Made in Germany." Founded 1930. Ballpoint pens, Fontain pens, Multisystem pens, Propelling pencils & Rollerball pens. Lamy Safari Fountain Pen - Black coated steel nib; fine point. LANCASTER - ballpoing & roller pens. All models. 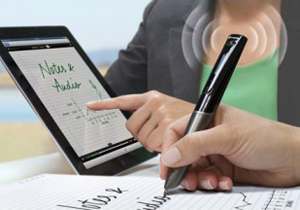 Livescribe Smartpens - "Never Miss A Word." All smartpens. LOIMINCHAY - since 1999. All collections. LOUIS VUTTON - since 1854. All models. Louise Fili - since 1989. "For a line of gift products produced by Princeton Architectural Press, Louise’s collection of vintage Italian pencil boxes inspired a set of double-sided, two-tone pencils, in a classic 1930s cursive." MARLEN PENS - since 1982. All collections. 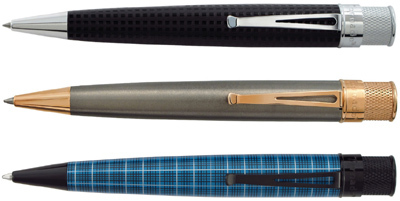 Maserati Ballpoint Pens - all models. 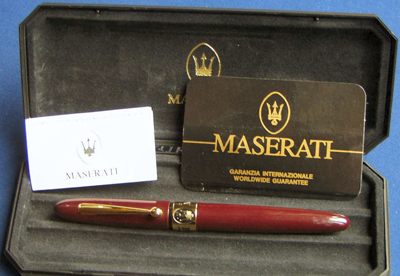 Maserati fountain Pens - all models. MERCEDES-BENZ PENS - all models. Metaxas - since 1981. Rollerballs & Fountain Pens. All models. MICHEL AUDIARD - all collections. MICHEL PERCHIN PENS - all models. MICKEY MOUSE - limited edition (1,928 pieces) sterling silver Mickey Mouse fountain pen. MIIDORI - ebony & tulipwood pens. MINIMALUX - brass ballpoint pen. MOLESKINE - since 1997. Pens pencils. MOMO DESIGN - since 1981. All models. 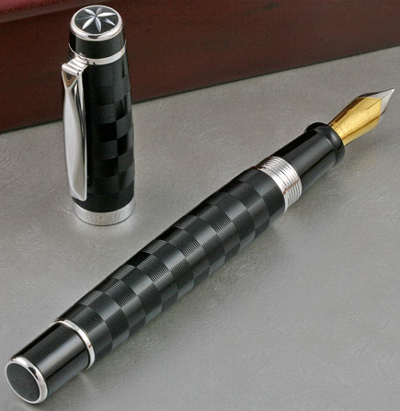 MONTBLANC - founded 1906. All collections. 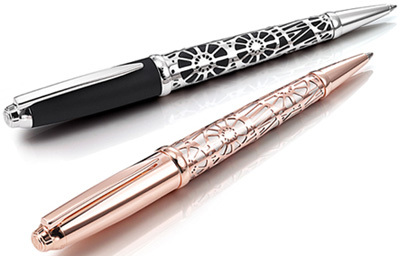 Montblanc commemorates 400 years since Shakespeare's death with a striking new pen - The Telegraph. 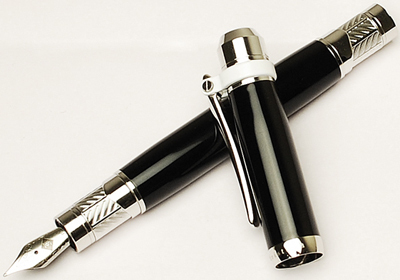 MONTBLANC LIMITED EDITION 333 SKELETON FOUNTAIN PEN - limited to 333 pieces. MONTBLANC MEISTERSTÜCK - since 1924. All models. MONTBLANC MEISTERSTÜCK Diamond Classique fountain pen - Amazon.com. 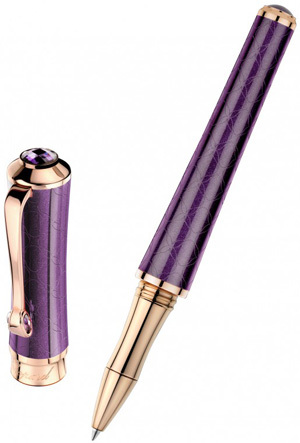 MONTBLANC Muses Edition - Princesse Grace of Monaco, Ingrid Bergman, Marlene Dietrich & Greta Garbo. 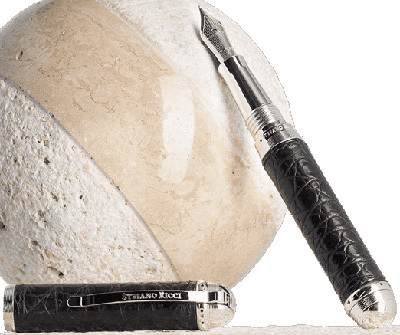 MONTEGRAPPA - founded 1912. All collections. 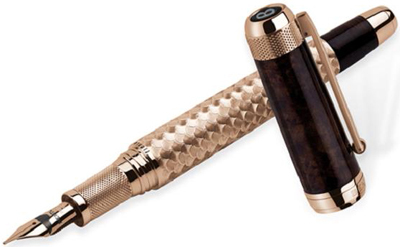 MONTEGRAPPA - Extra Bespoke. Using ages-old technique and traditional tools, our craftsmen translate the customer’s chosen image into a pattern to be hand-engraved or hand-painted on both precious metal or resin, on the client’s behest. Mouawad - since 1890. Rollerball pens. 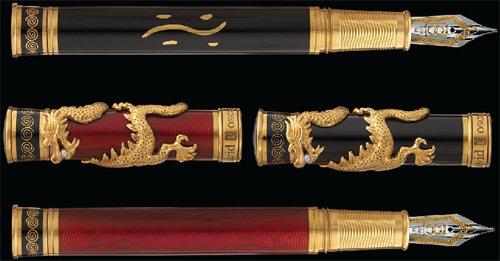 NAKAYA - since 1919. "Japanese handmade fountain pens." All collections. NAMIKI - "The Fine Art of Expression." 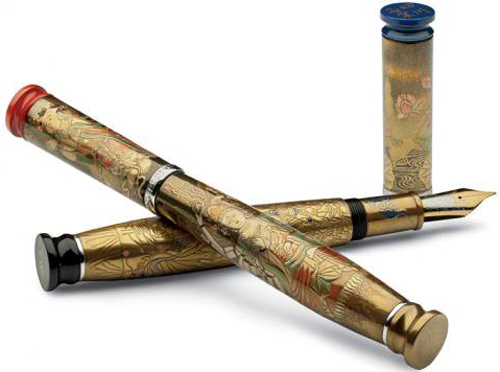 Most famous for their fountain pens with maki-e lacquering designs, are made in the Hiratsuka factory. 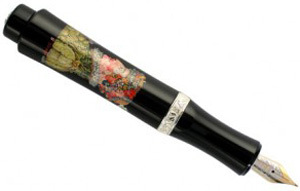 1928: Alfred Dunhill begins distributing the Namiki pen company’s maki-e lacquered pens. All collections. OMAS - founded 1925. All collections. ONOTO - since 1905. "Since 1905, classic craftsman-made Onoto fountain pens have been cherished for their reliability, their innovation and their style in every corner of the world." All collections. PARKER - founded 1888. All models. 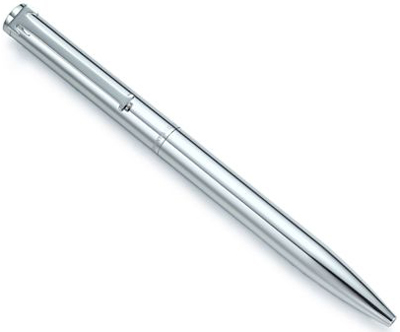 Parker Jotter Pen, Stainless Steel, Medium Point, Black Ink - Amazon.com. PATRICK PENS - by Loiminchay. PAUL SMITH - Ballpoint pens & pencils. PELIKAN - "Quality since 1938 - Made in Germany." All models. PHILIP ZEPTER - all models. PILOT - since 1918. "Power to the Pen!" All models. PINEIDER - "Firenze since 1774." All collections. 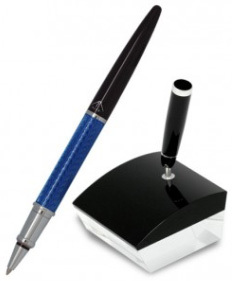 Fountain pens, rollerball pens, ballpoint pens, lead pencils & personalized pencils. PLATINUM PEN USA - since 1919. All models. PORSCHE DESIGN - since 1972. All ballpoint pens, fountain pens, rollerball pens & pencils. 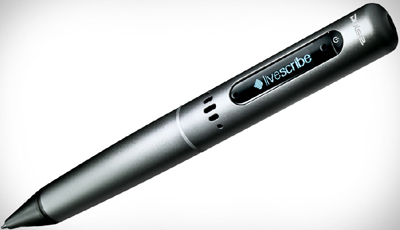 PULSE SMARTPEN - by Livescribe. 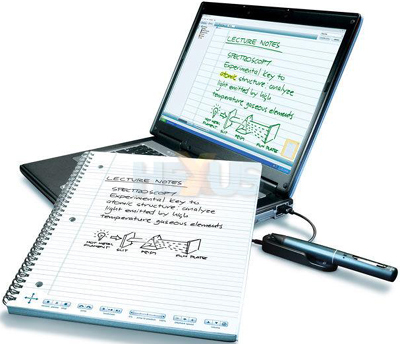 Ballpoint pen, computer, and audio recorder manufactured by Livescribe that "records what you hear and write so you never miss a word." RETRO 51 - fine writing instruments. Richard Mille RMS05 - "Quintessential Writing Instrument." 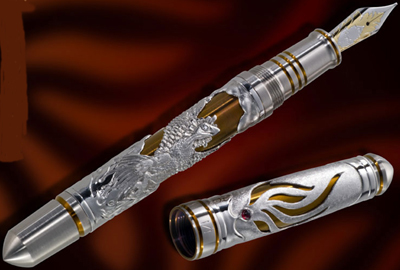 US$105,000 mechanical fountain pen. Riind - "The Pen. Rewritten." Introducing The Pen that rewrites them all. Ritz Paris Essentials - Ball Pen. 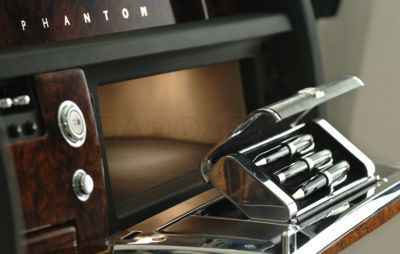 ROLLS-ROYCE PHANTOM LIMITED EDITION PEN SET - by Conway Stewart. Only 25 sets made. 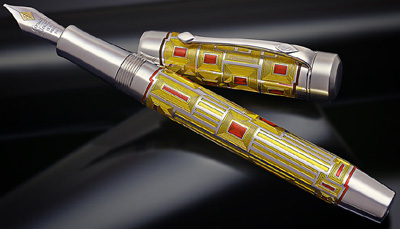 ROTRING - founded 1928. "Looking for the perfect creative tool?" All models. SAILOR - "Spirit Of Japan." All collections. SAINT HONORÉ PARIS - since 1885. Ball pens & personalized pens. All collections. SAKURA OF AMERICA - all collections. SCHROEDER - since 1877. 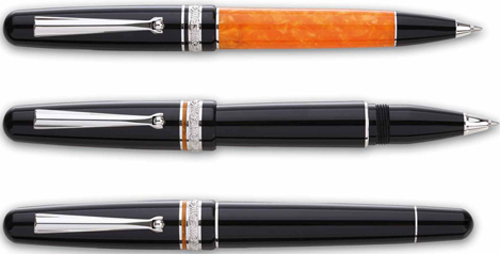 Luxury rollerball pens. SENSA - "The World's Most Comfortable Pen." All collections. Sharpie - markers & pens. SHEAFFER - founded 1912. "Premium writing tools." Ballpoint pens, rollerball pens & fountain pens. SMYTHSON OF BOND STREET - since 1887. "Each silver fountain pen, silver ball point pen or solid silver pencil comes with its own unique serial number and lifetime guarantee." Sprout - since 2012. "Plant Your Pencil." Being a sustainable pencil, Sprout is often nominated for various awards, and quite often actually wins! S.T. DUPONT - since 1871. "Take pleasure in the art of putting pen to paper. Words that take shape in your mind are brought to life on the page, gracefully, smoothly with the reassuring weight of a handcrafted writing instrument, as expressive as you are." All collections. S.T. 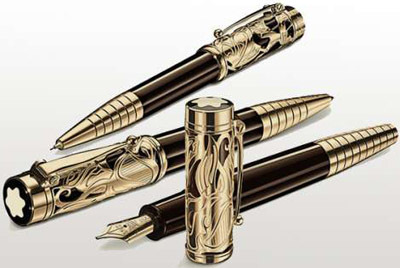 DUPONT Solid Gold Fountain Pen - US$22,000. 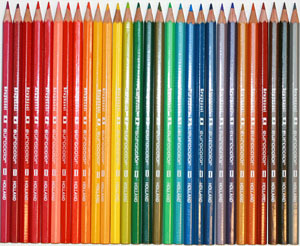 STAEDTLER Premium - founded 1835. All collections. STEFANO RICCI - fountain pen. STIPULA - since 1973. All models. SWAROVSKI - founded in 1895. Ballpoint pens, rollerballs & stylus pens. All collections. Taccia - "A relatively recent arrival in the world of fountain pens, Taccia was founded in 2003 by fashion designer Shu-Jen Lin. 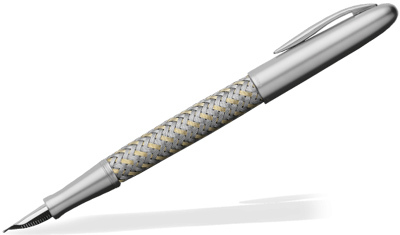 Distinctive and unusual designs, often utilizing materials not often used in pen production, have become a hallmark of the Taccia brand. 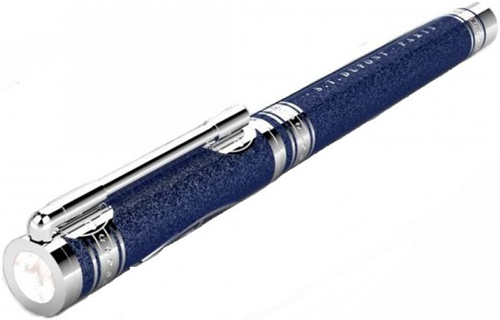 For the pen enthusiast seeking an excellent writing instrument with a twist of the unusual, Taccia will often be the choice." TATEOSSIAN London - since 1990. All collections. Ti Arto - "The Ultimate Refill Friendly Pen." A timeless solid titanium pen that accepts over 200+ refills w/o any modifications, hacks, or tip wiggle. TIBALDI - since 1916. All collections. TIFFANY & CO. - since 1837. All collections. TOKENS & ICONS - since 1991. All models. ULYSSE-NARDIN - since 1846. 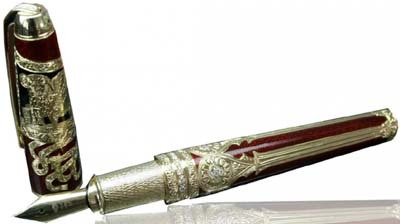 Visconti fountain pen. UNI-BALL - since 1887. "Performance and Design." Mission: To design the world's best writing instruments: inside and out. All performance. All design. uni-ball pens are an upgrade the moment pen hits paper. All models. URSO - since 1985. 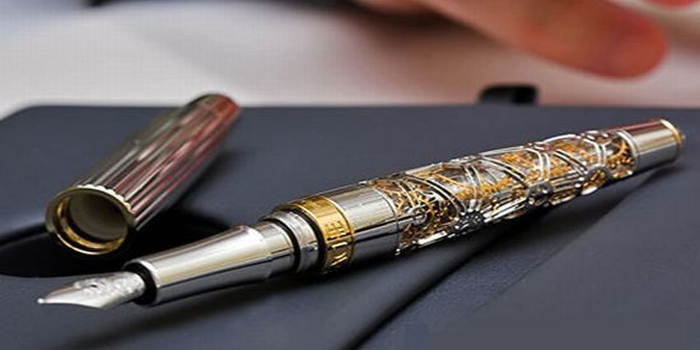 Handmade luxury fountain pens. Materials: 18kt solid gold, enamel, diamonds. VERTU - since 1998. Classic ballpoint pen & pencil. VISCONTI - since 1988. "Selected for such history-making events as signing the NATO-Russia Summit on May 28, 2002, which marked the end of the cold war." All collections. WAHL-EVERSHARP - "Dromgooles Fine Writing Instruments." Ballpoints, finewriters, fountain pens, pencils & roller balls. WATERFORD - originally founded in 1783. Pens & fountain pens. 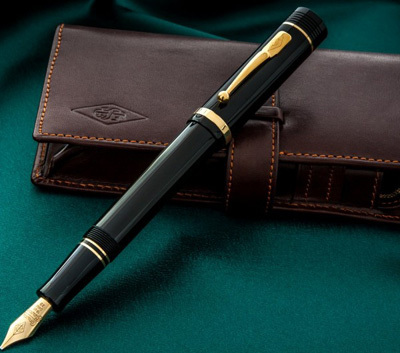 WATERMAN of Paris - "Skilfully made in France, every Waterman pen creatively echoes the genius of our founder Lewis Edson Waterman, inventor of the first reliable fountain pen in 1883." All collections. WEDGWOOD - "Quintessentially an English company established in 1759 a variety of luxury writing instruments." All collections. WILLIAM & SON - since 1999. All collections. 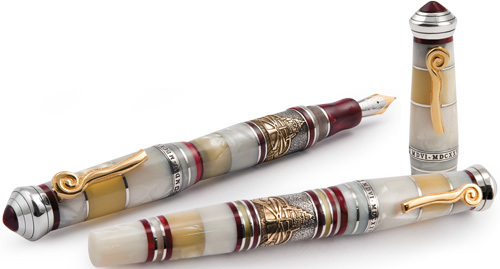 WILLIAM HENRY - "Executive Luxury Pens & Writing Instruments." All models. XEZO - "Time Evolves." All models. YARD-O-LED - Handcrafted in England since 1934. "Luxury Silver Victorian Fountain Pens." All collections. ZINO DAVIDOFF - all collections. ZIPPO - Burgundy Leather Wrap Ballpoint Zippo Pen.